Earthy Mama: She is 9! I can't even believe I have a nine year old! This is my oldest, 9, and the youngest, 1 month. I'm so blessed to have her. 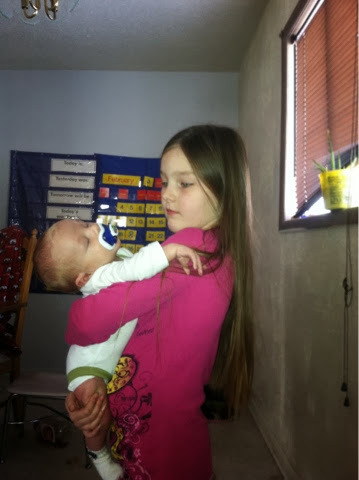 She is a great big sister and enjoys helping take care of her baby brother!